You write a 2 page resume. The hiring manager says, "Ugh, I don't have time for this," and clicks delete. You send a 1 page resume. The manager assumes you lack experience. She clicks delete again. See the problem? Which one's right? Asking, "Can a resume be two pages?" is like googling "What size shoes should I wear?" There's no single answer, but there's an easy one you can find out fast. Can a resume be 2 pages? 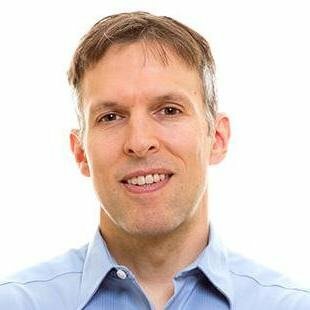 Will it kill your chances of landing a job? When to write a two page resume and get the manager on the phone. The best two-page resume format that will help you stand out. When to write both a 1 page and a 2 page resume. 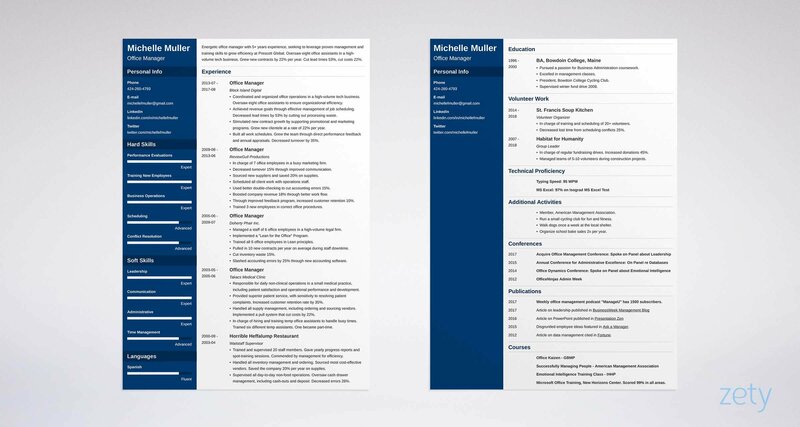 Here's a sample 2 page resume format made with our fast online resume builder. Two-Page Resume - See +20 resume templates and create your resume here. So, there's your perfect two page resume sample. Next, I'll show you whether you should use multiple page resumes, and how to do it right. Wondering how long your resume should be? Not sure if you can use a 2-page resume? Use this handy quick reference. After the table, find more tips on 2 page resume formatting, and when to write a two page resume. Also, learn when to avoid two pages like the swine flu. A resume can be two pages, but most should be one page. That's true for entry-level candidates and those with less than 5 years' experience. If the job requires Elon-Musk-level accomplishments, or you can't cram your achievements on one page, write a two page resume. In a survey of employers, 66% said an entry-level resume should be one page. Meanwhile, 77% said seasoned workers should have at least a 2-page resume, and maybe longer. Shockingly, 39% of experienced workers say their resumes are only one page long. While there's no clear answer for how long every resume should be, make yours long enough to show you fit the job like spray-on shoes. Customize your resume first. Most applicants can do that easily with a one-page resume. If you can't use two. A resume can be more than one page. But make your resume as short as possible while still showing you're experienced enough. Since most managers skim, two-page resumes can be daunting. But very experienced applicants can't usually prove their worth without a two page resume. A resume can be two pages long. Just make sure your resume isn't longer just because it includes unncessary details like irrelevant work experience or skills unrelated to the job you're applying for. When you tailor your resume to the job ad and still can't fit your related past jobs and skills on one page, go for two pages. Two-page resumes are typical for very experiences candidates. One or Two Page Resume for 2019? In 2018, many submissions go through an ATS (Applicant Tracking System). Those don't limit you to one page, so you can write as much as you want. Be warned that a single-pager still works best for any job that doesn't need a highly-seasoned candidate. Why the Hate for 2-Page Resumes? In the past, fax machines could choke and lose your second page. Also, mailed-in resumes could have their pages separate. Those reasons are largely gone today. If you've really got enough impressive, relevant accomplishments to fill two pages, use them. Pro Tip: Now you know a resume layout can be two pages sometimes. In the next section, find out exactly when you'll need a multiple page resume, and how to do it right. Think you might do better without making a two page resume? Don't sink your job search by choosing wrong. See our guide: Should a Resume Be One Page? How to Make It a Single Page [+Tips]. There are two situations when you must write a 2-page resume. If you fall into the categories shown below, don't write a one-page resume. If you do, you'll look about as strong as Michael Cera with a twisted ankle. Don't see yourself here? In that case, find a way to cut your second page. Some jobs need mountains of experience. For those, you're better off showing two pages of achievements on a resume, or more. Consider a 2-page resume if you're in any of the careers below. In fact, almost any management job offer deserves a 2-page resume. Wondering how to shorten a two-page resume? Try this: Cut your resume down from two pages by tossing everything you can. Once you've shortened it, compare them. If the two-page resume does the job better, keep using it. There's nothing wrong with a 2 page resume in many cases. That said, a resume that's one page plus a couple lines makes you look sloppy. Unless your resume is at least 1.5 pages, cut it down to one. If you're an entry-level candidate, there's almost no need to write a two-page resume. You simply don't have enough experience yet. The exception? If you're going for an internship and you've got lots of academic achievements, make your resume two pages. Pro Tip: If you're one of the few who need a second page, keep reading to find great two-page resume format tips. You submit a two-page resume. You're very experienced, so the hiring manager is glad to see the second page. Then, disaster strikes. You've made a couple glaring blunders in your 2-page resume format. In other words, you've written a bad resume. To avoid the pitfalls, use the 2 page resume format tips below. Why Aren't there More Two Page Resume Examples? There aren't a lot of two-page resume examples on the internet. That's because nobody needs them. Two page resume format is just like the format for shorter resumes. Just follow the formatting tips for 2 page resumes shown here. Why put your contact info on both pages of your resume? Convenience. The hiring manager might see an accomplishment she really likes on the second page. Your name and contact info should be there like a company logo, reminding her of who you are. Repeating your skills or other core information on page 2 of your resume can be tantalizing. Resist. The doubled information will slow the hiring manager down. You don't want to distract her from your glowing achievements. Page two of your resume should show only new information the manager hasn't seen before. If you repeat your summary, she could think you printed page 1 twice. Either way, it slows the process. It's also just plain poor resume etiquette. The first page of a two page resume should carry all the most important info. That means most work experience, skills list, resume summary, and certifications all go on page one. Put publications, conferences, and all additional material on the second page. Worried the employer won’t notice the second page? You can add page numbering in the 1/2 and 2/2 format. A 2-sided resume may sound good, but most resumes are submitted digitally anyway. If you do submit a paper resume, the manager might not see the second side. So, hand in two sheets. Two-Page Resume: Staple or Paperclip? You don’t want that second page go missing, do you? Use a paperclip. Some managers might want to photocopy or scan your resume and staples get in the way. Pro Tip: Now you know how to make a 2 page resume (or 3 page resume). Next, find out if you need both a long and short resume. See the next section for tips. Did you know there are three resume formats? Make sure you pick the right one for the job offer. See our guide: Resume Formats: Pick the Best One in 3 Steps (Examples & Templates). Question: Does writing a 2 page resume and a one-pager ever make sense? It's often hard for applicants to settle the one or two page resume question. That's because it's hard to judge the difference between two things you don't have in hand. That's why making both a one and two page resume is a great idea. Start by making a 2-page resume. Include your best achievements that fit the job offer. Then, fire up your critical sense. What could you cut out and still tell the same story? Chop your work down to one page. This exercise alone will often reveal your most impressive strengths. Once you've got a one page and a two page resume, use both. Pick the two pager for offers that ask for more experience. Pro Tip: Once you've got two resumes, you might realize the one pager says it all in less space. In that case, don't send in the 2-page resume. Don't make a resume without knowing the key steps guaranteed to get more interviews. See our guide: How to Make a Resume: A Step-by-Step Guide (+30 Examples). It's not difficult to master 2-page resume format. The hard part? Knowing whether to write a one or two-page resume in the first place. Use two page resumes if you're very experienced, or if the job offer asks for a long work history. Also use a two-pager if you can't cram all your great relevant accomplishments on a single page. Finally, is your resume less than 1.5 pages? If so, you don't need a 2-page resume. Do a little cutting to chop it down to size. Want to know more about how to write a 2 page resume? Maybe you've got some great two page resume ideas? Give us a shout in the comments! Let's start the conversation!